PERSONAL TRAINING - ONLY $10 Per Month - See how my Mobile Personal Training program not only equals traditional PT programs but also excels in the results! Can you believe it is December already? 2017 has completely flown by!!! Being the month of December I realize we all have tons of things on our plate…and 90% of the time our wellness, fitness and sometimes sanity runs on the back burner. But for this month I wanted to share a simple 7 Day Challenge you can do each week this month. Each day of the week offers a different challenge…each not time consuming. But rather something you can put into your daily routine…and still get all the wellness benefits you need! 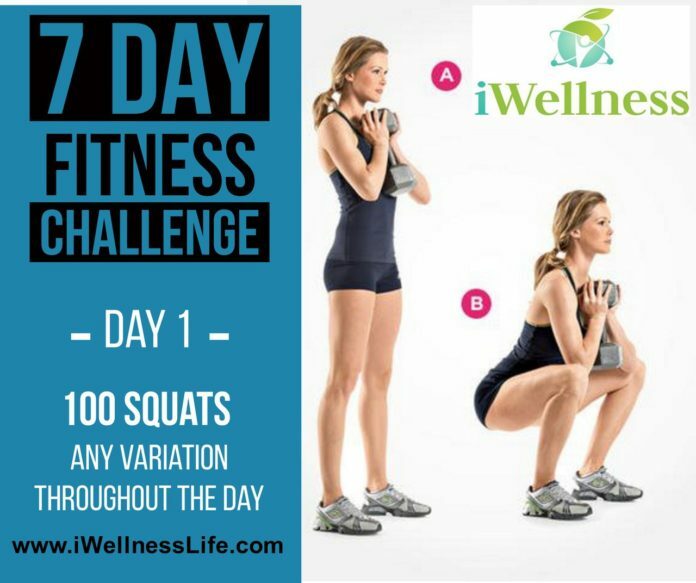 Make sure you check out the iWellness Life Facebook page tomorrow for Day 2. Each day I will be posting the days daily challenge on our fan page. Join our VIP mailing list to receive additional content that goes even deeper into the latest news and updates from our team as well as our wellness partners. Exercise Physiologist, Personal Trainer, Wellness Coach, Author and Media Fitness Expert with over 20 years of experience in the health and fitness industry. Has served over 50,000 sessions from one-on-one, semi-private to large group BootCamp classes. Nationally and locally awarded Fitness expert on both ABC & CBS. Most recently developer of a new interactive Wellness and Lifestyle program for small to medium sized companies (Offshore and Onshore).